Here's another easy and healthy grab and go breakfast. 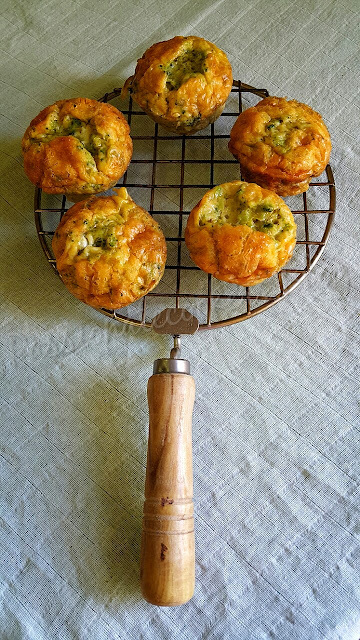 Actually I can say that this is the another version of my previous post spinach-and-cheese-egg-muffins. Most of the kids don't like to eat broccoli but in this way they ll love it coz they can't even taste it in here. All you need is only 3 main ingredients and 20 mins then you're done for a weeks breakfast. 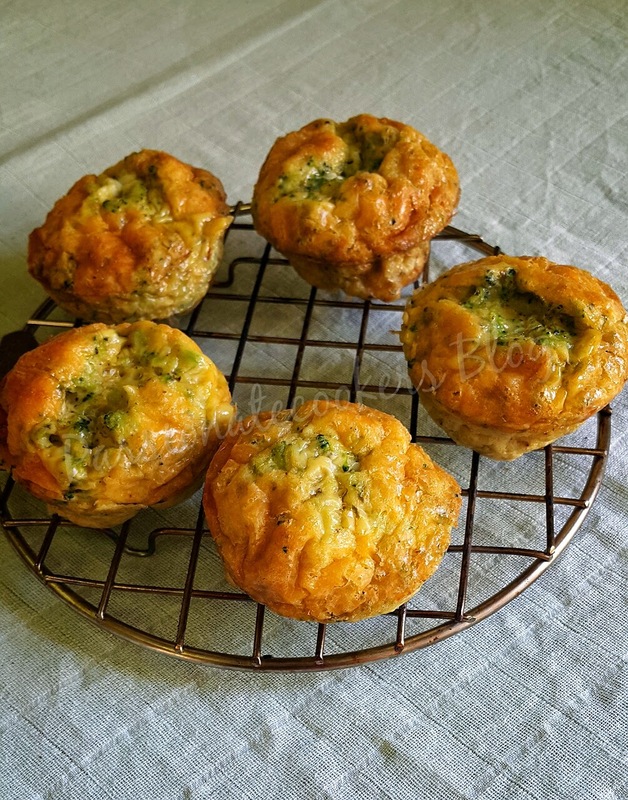 These muffins can be made in the start of the week and stored in the fridge for 5 days. Steam the broccoli for few mins ( if using microwave then add the florelets in a bowl with 1 tbsp water, cover partially and cook for 2 - 3 mins). Chop the broccoli finely and add in a bowl with salt and pepper to taste and mix well. Now break the eggs to this and mix till combined well. 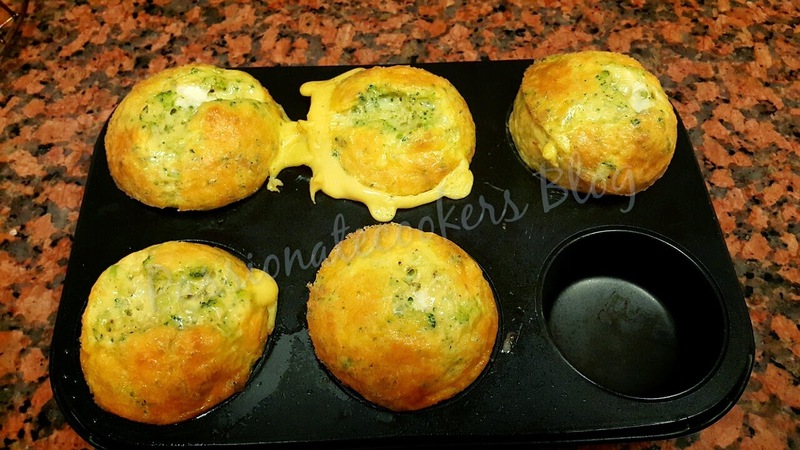 Grease 5 muffin tin with some oil or butter. 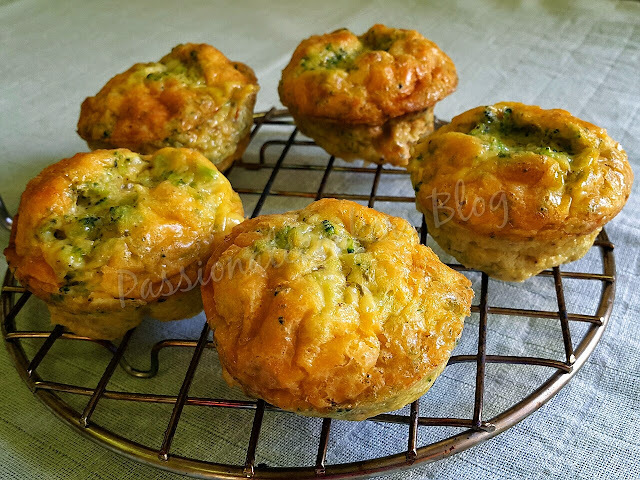 Fill the muffin tins with the mixture till everything is complete. Top with the cheddar cheese and cook for 12 - 15 mins or till done. Let it cool completely before storing in (airtight or ziplock) fridge.